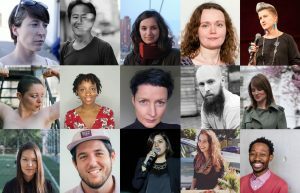 We are thrilled to introduce the 15 incredible people who will be joining us on Watershed’s new global talent development programme Creative Producers International. Led by Watershed, and working with experienced UK and international producing partners, Creative Producers International will provide 15 Creative Producers from across the globe with the tools they need to take leadership in the future of their cities. It expands the ethos of our Playable City programme which has demonstrated the values of play and unexpected interaction in cities across five continents. 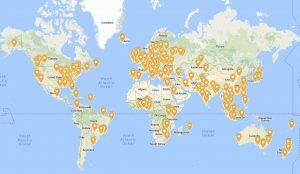 The open call for the programme received a massive 544 applications from every corner of the globe (see our map below), from people from a wide range of backgrounds and disciplines. Over the next two and a half years these Creative Producers will work with Watershed, our producing partners and a range of industry professionals, to combine and expand their knowledge and experience. They will engage with artists, citizens and city leaders alike, and produce creative projects that help transform conversations in their city spaces. Our programme begins with a three week lab here at Watershed in October, where the cohort will meet for the first time and lay the foundations for their work. Our Creative Producers will also have a major role in our Making The City Playable Conference, held here at Watershed on Thursday 19 Oct this year. You can find more information and book your tickets here. You can find out more about the programme and each of our Creative Producers here. We will keep our community updated with our progress – so join our Playable City mailing list here and follow us on Twitter @playablecity for further news.